BRIGHTON, Mich. - It's official: the first CNG-Capable 2014 Ford F-150 has rolled off the line in Kansas City! This momentous milestone has made Ford the only manufacturer with an available CNG-capable half-ton pickup, further setting Ford apart from its competitors. This 2014 Ford F-150 has the ability to run on CNG (Compressed Natural Gas), giving the driver of the vehicle numerous benefits. First, it will improve the fuel efficiency of the F-150, giving it an EPA-estimated rating of 19 mpg combined city and highway. Secondly, using CNG is more beneficial to the environment since this alternative fuel includes cleaner emissions with up to 30 percent less greenhouse gases than the average F-150. Another benefit that will please drivers - especially those that make it their mission to buy locally - about 85 percent of the CNG used in the U.S. is produced within our own country. As for how this green machine will be powered, it will come standard with a 3.7-liter V6 engine. This engine allows the vehicle to get more than 750 miles on the combined tanks of gasoline and CNG - talk about being in it for the long haul! Another aspect that you can benefit from with the CNG-capable Ford F-150 is the fact Michigan offers tax incentives and rebates for CNG-converted vehicles. To see exactly how these incentives and rebates can benefit you, we recommend visiting the U.S. Department of Energy website to see the full list of Michigan laws and incentives related to Natural Gas. 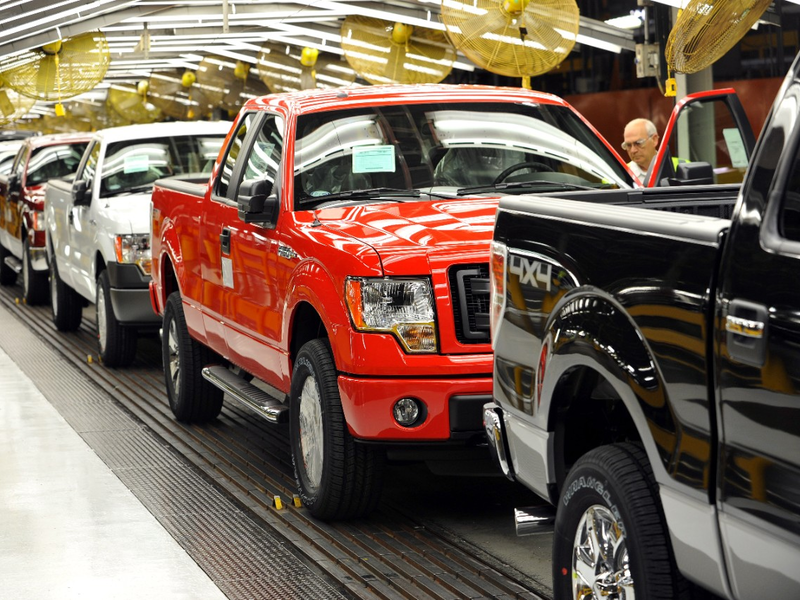 The First CNG-Capable 2014 Ford F-150 has rolled off the line meaning you now have the opportunity to own one of these vehicles. If you'd like to discuss the benefits, costs, and more with choosing a CNG-compatible vehicle, stop by our dealership! We would be more than happy to answer any questions or concerns you have on Car Loans, Used Car Value and more! We are proud to be a Lansing Area Ford Dealer and a Lansing Used Car Dealer.